The following history of sea kayaking, refers to European-style canoes and kayaks. Elsdon Best’s classic treatise The Maori Canoe, first published in 1925 and reprinted in 1976, contains detailed descriptions of the construction and types of vessels used by the Maori. Vaka Moana edited by K.R. Howe, 2006, reprint 2008, has a list of Further Reading concerning canoes coming to and being used in New Zealand. In the following, years given are the start of an event or trip. The Wellington Tainui Club, founded in 1870, is recorded as the first canoe club in New Zealand. From 1880 on, members made regular holiday trips to the Pelorus and Queen Charlotte Sounds. When the Hokitika Canoe Club was formed on 25 August 1886. Its first commodore was F.E. Clark who, 20 years earlier, had constructed the first Rob Roy style canoe seen in the Antipodes, from plans sent to his father in Tasmania by a former schoolmate, John MacGregor. In 1865, after John MacGregor returned to England from a trip to North America, where he had seen bark canoes and skin kayaks, John designed and had built a clinker style, wooden kayak, some 14.5 feet long and weighing 90 pounds, which he named Rob Roy. There are several books about MacGregor and his kayak adventures in Europe and Africa, plus lecture tours in Britain and overseas. 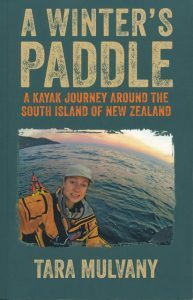 This led to a growing level of interest in river and sea kayaking worldwide including New Zealand. 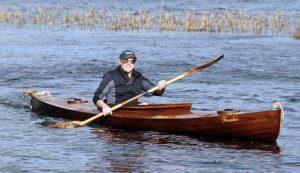 George Park, an enthusiastic member of the Hokitika Club, built two Rob Roy style canoes, Mermaid and Sunbeam. 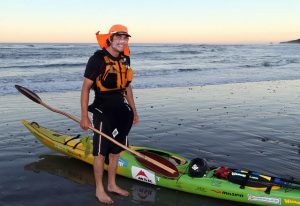 He built up paddling experience on the West Coast between Okarito and Greymouth. He and his brother, Will, used these canoes to cross Cook Strait on 23 February1890 in 30.5 hours. This feat, the crossing of Cook Strait, was emulated in 1895 by W. and G. Fitzgerald in a double kayak. In the post WWII era, Aucklander Ray Forno is acknowledged as the most enterprising sea kayaker. Ray undertook solo trips from Auckland to Great Barrier Island and from Oamaru to Christchurch. The modern era of sea kayaking in fibreglass Eskimo style kayaks began in 1977. Sisson Kayaks negotiated to build the Nordkapp sea kayak under a one-time royalty licence. With the arrival of the Nordkapp mould in New Zealand, three were built for Nelson Canoe Club paddlers, Vic Hague, Brian Joyce and Brian Ogden, aiming to paddle around the Fiordland Coast from Jackson Bay to Te Waewae Bay. In mid-August 1977 the trio set off from Jackson Bay but after battling bad weather, big surf and seas, they pulled out at Milford Sound. In December 1977, Max Reynolds and Paul Caffyn set off from Te Waewae Bay around the Fiordland coast and limped into Jackson Bay 27 days later, both adamant that their next trip would be across the Sahara Desert, as far away from the sea as possible. 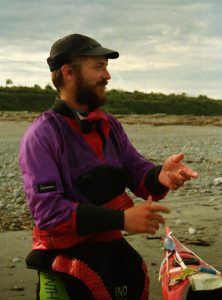 Two weeks later, Paul set off solo from Jackson Bay and with a shore-based support party following. He completed the first circumnavigation of the South Island on 24 April 1978. His story of the journey Obscured By Waves was first published in 1979. The following summer, 24 December, Paul set off from Makara Beach to circumnavigate the North Island. He completed the solo 1,700 mile trip around the North Island, at Makara on 16 March 1979. To return home he finished with a three hour crossing of Cook Strait. The story was published as Cresting the Restless Waves in 1987. His trip took 86 days, with 63 paddling days and 23 either weather-bound or rest days. At the completion of his paddle at Makara on 19 March, Paul copped a pavlova in the face from his support crew. 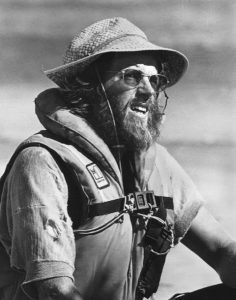 In August 1979, Paul teamed up again with Max Reynolds for a crossing of Foveaux Strait and a first kayak circumnavigation of Stewart Island. Paul’s third book Dark Side of the Wave was printed in 1986. Sadly, Max Reynolds drowned in a whitewater accident on the Aorere River in 1980. Bevan Walker, over a period of several years, completed an unsupported trip around the South Island in 1991, including a fast 13.5 day trip around the Fiordland Coast with Craig Hornblow. 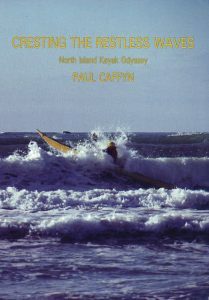 Bevan features on the cover of the 3rd edition on the KASK Handbook, paddling into a nor’wester in Thompson Sound, Fiordland. 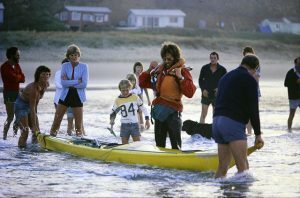 In November 1994, Japanese paddler Kazu Yoshida set out from Nelson on a solo unsupported trip around the South Island. After completing the east coast leg, he was rescued by a fishing boat in February off Breaksea Island in Fiordland and aborted the trip. The first unsupported, solo trip around the South Island was completed at Picton, on 5 February 1996, by Colorado paddler Brian Roberts. His trip took 86 days, with 55 days paddling and 31 rest or weather-bound days. His Fiordland paddle took 26 days, half of which were waiting for weather or rest days. In February 1999, Max Grant and David Herrington completed the first kayak circumnavigation of Chatham and Pitt islands. The first Stewart Island solo was achieved by Darryl Anderson from 24 June to 19 July 1999. 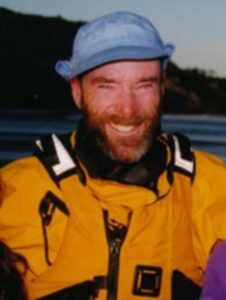 Chris Duff, author of On Celtic Tides, completed an unsupported South Island solo paddle from 5 December 1999 to 16 April 2000, also starting at Picton. 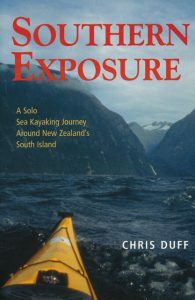 His account of the trip, Southern Exposure – A Solo Sea Kayaking Journey Around New Zealand’s South Island was published in 2003. Waikato paddler Simon Meek achieved a North Island circuit, between 2 January 2001 and March 2004, in a series of stages, not always in the same direction. Simon Meek completed a solo unsupported South Island circuit in a series of stages between 14 February 2005 to 10 April 2008. Kiwi father and daughter team, Max and Melanie Grant launched from Jackson Bay on 29 April 2007, and over a series of stages, completed the first anti-clockwise circuit of the South Island on 19 May 2010. Their trip took 81 days altogether, 71 days paddling and 10 days camped during storms. 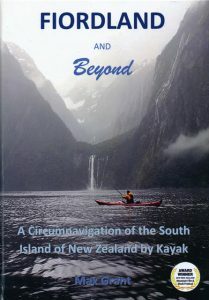 Max’s account of their inspiring paddle, Fiordland and Beyond – A Circumnavigation of the South Island by Kayak was published in 2013. The summer of 2007-08 was a big one for South Island circumnavigations with two solo paddlers and one duo from Britain completing South Island unsupported circumnavigations. 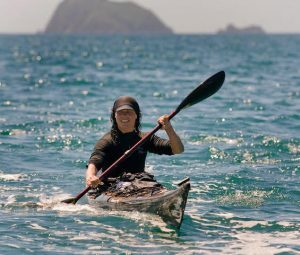 Although Babs Lindman had announced her plan to be the first woman to paddle around the island, German paddler Freya Hoffmeister jumped the gun, launching in late Spring from Okiwi Bay on 24 October 2007. Freya completed her solo paddle around the South Island on 2 January 2008, at Okiwi Bay, north of Nelson. Her trip took 70 days with 48 paddling days and 22 off for weather or big surf. Swedish solo paddler Babs Lindman left Picton 22 December 2007. 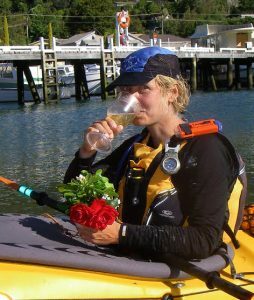 She completed an unsupported, solo circumnavigation on 24 March 2008, the first natural blonde to complete the paddle. British couple Justine Curgenven and Barry Shaw launched from Sumner on 26 January 2008. Their trip took a total of 67 days with 20 days off for weather and six days in the Invercargill Hospital for Justine. They completed their paddle at Sumner on 1 April 2008. 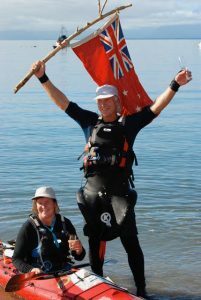 After paddling across Foveaux Strait on 30 January 2009, Simon Meek soloed around Stewart Island and paddled back to Colac Bay on 16 February. Tim Taylor launched form Wamarino, near Tauranga, on 27 November 2010 aiming to complete a first solo continuous circumnavigation of our three islands. He came ever so close to achieving that goal but was stymied for six weeks by massive surf on 90 Mile Beach. He completed the circuit the following summer and paddled back into Waimarino on 28 February 2012. Following a three month paddle through Fiordland, Tara Mulvany set off with Sim Griggs in May 2012 to paddle around the South Island in winter. Massive surf off the Heaphy River mouth led to a five day separation when neither Sim nor Tara knew where the other paddler was or in fact was still alive! Re-united in Golden Bay, Tara and Sim continued around the top of the South Island, but Tara had a wretched day from Motanau down to Sumner, seasick many times, landing finally at 12:30 a.m. 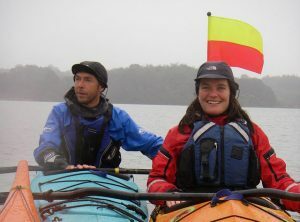 The duo parted company in Christchurch with Tara continuing solo and on 22 October 2012 Tara Mulvany paddled into Milford Sound, completing a winter circumnavigation of the South Island. 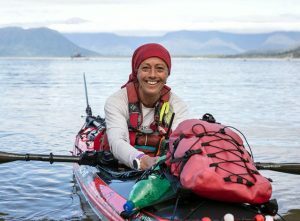 On 17 December 2013, Tara paddled north across Cook Strait and began a clockwise solo circumnavigation of the North Island. She had to deal with ‘house sized’ breakers off the Manukau and Kaipara harbour mouths but rounded Cape Reinga on 4 February 2014. 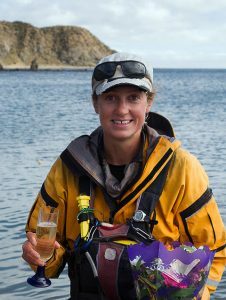 Tara became the first woman to complete a North Island circuit when she paddled into Makara on 6 April 2014. 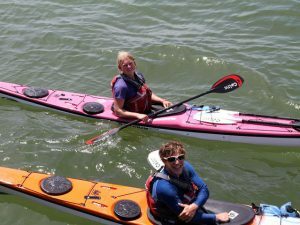 A young English couple, Fiona Weatherall and James Corfe completed an unsupported South Island paddle on 24 February 2015, after launching from Sumner on 8 December 2014, a total time of 79 days. Lynn (Red) Paterson set off from Takapuna on 27 October 2015 for a clockwise circuit of the three main islands, accompanied by a shore-based support crew. After paddling down the east coast of the North Island, Lynn crossed Cook Strait and paddled around South and Stewart islands from 21 December 2015 to 17 August 2016. 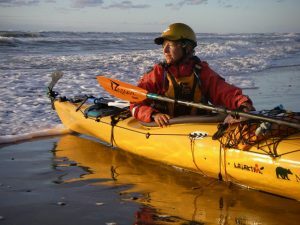 Her solo Fiordland paddle from Te Waewae Bay to Jackson Bay took 45 days, with only 12 days suitable for paddling and 33 days waiting for seas and winds to settle. 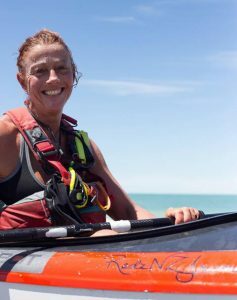 Lynn had some tumultuous times with prevailing big surf on the South Island’s West Coast but returned to the North Island, paddling up its West Coast and completed her full circumnavigation at Takapuna on 31 December 2016. Lynn’s trip took 432 days from start to finish. 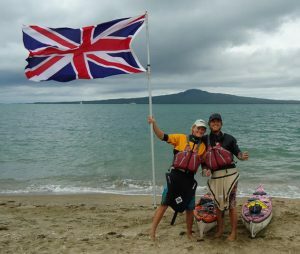 Fiona Weatherall and James Corfe (UK) set off from Auckland’s east coast on 30 November 2016, and paddled clockwise around the island, completing their unsupported paddle on 7 March 2017. Over the past 40 years, the level of interest in sea kayaking has grown steadily. Several kayak clubs and networks, including Auckland Canoe Club, Bay Association of Sea Kayakers (BASK), Hauraki Kayak Club, Northland Canoe Club, Nelson Canoe Club, Ruahine White Water Club and Canterbury Sea Kayak Network, regularly include offshore trips in their paddling calendars. 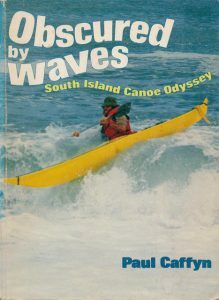 A sea kayaking newsletter network was founded in 1988 by Graham Egarr and the readership was formalized in 1992 with the incorporation of the Kiwi Association of Sea Kayakers. As well as KASK, sea kayaker networks are currently active in Otago, Canterbury, Southland, Bay of Plenty and Wellington. Sea Kayaker’s Guide to New Zealand’s Upper North Island by Vincent Maire, 2001. Sea Kayaker’s Guide to New Zealand’s South Island by Alex Ferguson, 2002. A practical touring manual Coastal Sea Kayaking by Kerry Howe, 2005. Sea Kayaker’s Guide to Banks Peninsula by Alex Ferguson, 2010. Flashing Paddles, by P.J. Lucas (the story of George Park).